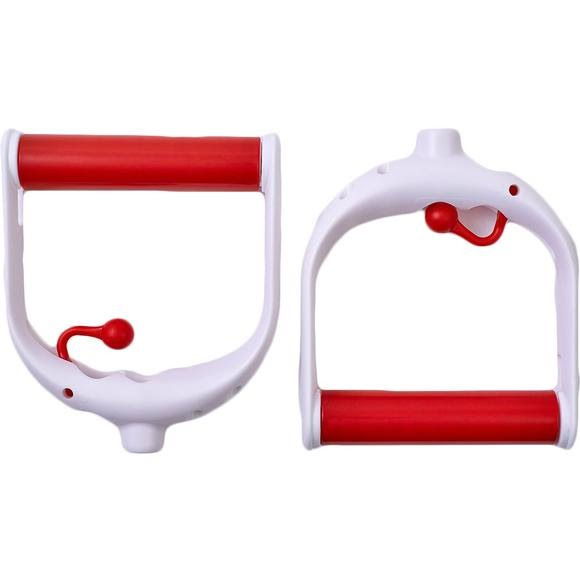 Take advantage of the more functional movement patterns and the continual tension which emphasizes the concentric and eccentric portions of each movement you get with resistance bands and cables with these interchangeable Lifeline USA grip handles. Take advantage of the more functional movement patterns and the continual tension which emphasizes the concentric and eccentric portions of each movement you get with resistance bands and cables with these interchangeable Lifeline USA grip handles. Great for rehabilitation exercises or travel workouts, the grip ball can be locked when performing secure and safe movements and unlocked to quickly add to bands or cables of different resistance levels for a varied workout.